Please note: Making online changes to your already scheduled appointment may result in deletion of previously scheduled appointment. If you require changes to an already scheduled appointment, please contact our service team at (718) 215-4224. You’ve been dreaming of getting behind the wheel of a BMW driving machine for years – now it’s your job to keeping it running at peak form. After all, owning a BMW is about maximizing all it’s beautiful performance capability no matter what the season. Leave the work to us! When you purchase or lease a vehicle from BMW of Brooklyn, our team of BMW-certified mechanics will work to keep your vehicle running like the day you drove it off the lot. That’s why we’re Brooklyn, Queens, Staten Island, Bay Ridge and Dyker Heights’s choice for routine automotive maintenance and emergency automotive repair. And while BMW might be our specialty, we are well-versed to work on any vehicle regardless of its brand or model year. Our team of trustworthy, expertly trained mechanics consists of certified professionals who specialize in everything from routine maintenance chores like oil changes, tire rotations and brake testing to vast menu of more complex service solutions such as diagnostic checks muffler and exhaust systems and steering and suspension tune-ups. Don’t ride around with your check engine light on another day. 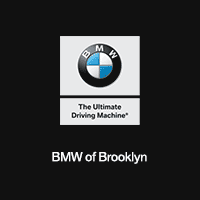 Contact us the BMW of Brooklyn’s parts and service team or stop by today to talk about your maintenance or repair project. From body work to customizations, there’s no job our team can’t handle.